Not everyone is lucky enough to get to watch Apple’s Worldwide Developer Conference keynote in person next week, but that doesn’t mean you have to miss out. 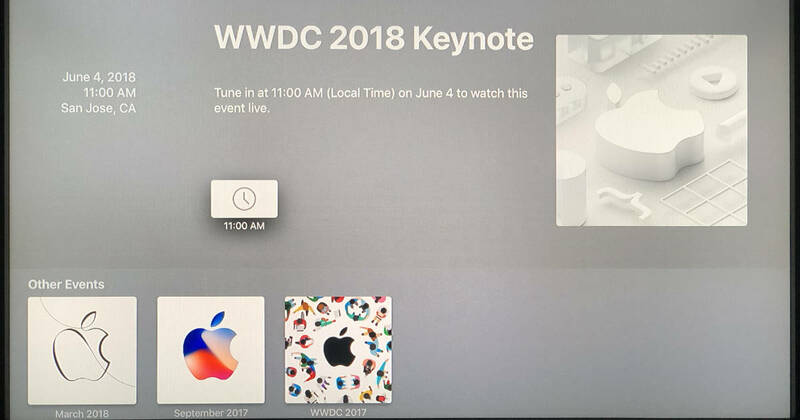 Apple updated its Apple Events app on Apple TV Wednesday morning so it’s ready to go for next Monday’s (June 4th) keynote presentation. The Mac Observer will be there covering the event live, and now you can watch from the comfort of your livingroom. The Apple Events app updates automatically, so you don’t need to do anything to make it happen.